Can Donald Trump order the military to build a wall along US-Mexico border? 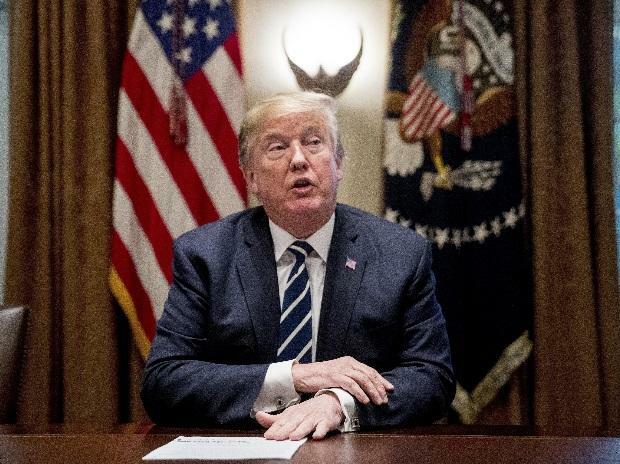 US President Donald Trump has said he will make a "major" announcement Saturday on the ongoing federal government shutdown and the humanitarian crisis on the US-Mexico border. "I will be making a major announcement concerning the Humanitarian Crisis on our Southern Border, and the Shutdown, tomorrow afternoon at 3 P.M., live from the @WhiteHouse," President Trump tweeted. The shutdown, now in its 28th day, has rendered over 800,000 federal employees without work, crippling the functioning of several key wings of the government including Security and State department. President Trump insists that building a wall is the only solution to protect the nation from a large flow of illegal immigrants and drug smuggling. The Democrats are opposed to any such funding. After Trump walked out of a meeting at the White House last week, Democrats have refused to come to the negotiation table. The ongoing shutdown on January 12 broke the previous record of 21 days of US government shutdown under the Bill Clinton administration in December 16, 1995 to January 5, 1996.